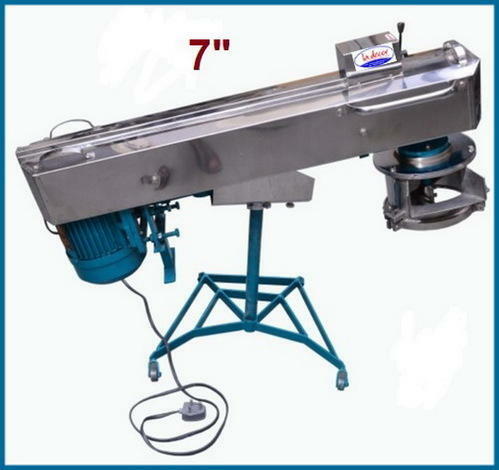 Prominent & Leading Manufacturer from Surat, we offer namkeen making machine ( 7" ). We are engaged in providing a quality assured range of Namkeen Making Machine to our clients. To cater the specific requirements of various baking industries, the offered machine is designed with utmost precision using excellent quality components. In addition to this, our provided machine is highly acknowledged for its superior features like robust design and accurate functions. Available in different models, our provided machine ensures dust proof processing of food ingredients. Looking for “Namkeen Making Machine”?